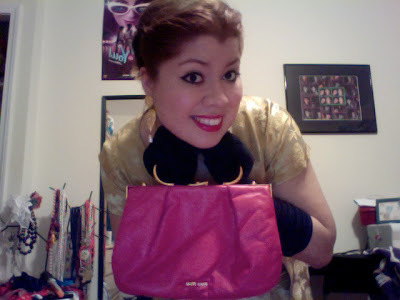 So I tried to mimic the hair, don the most glam 1940's dress I own, and pull out the pink Miu Miu. 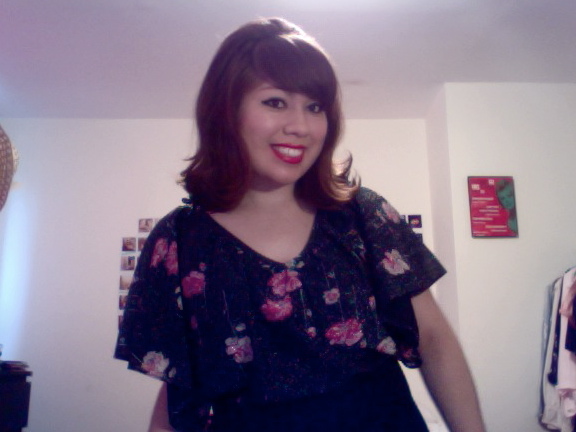 It was ok, but the sight of myself without bangs felt kind of weird. 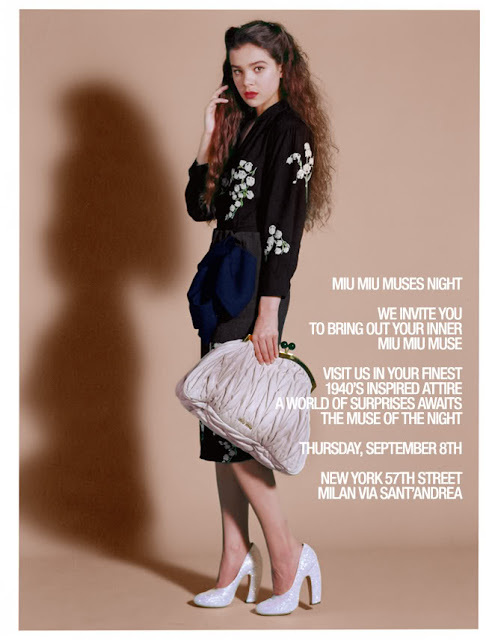 I decided under time constraints I probably wouldn't make it to Miu Miu anyway and should dress however I felt. I was feeling this dress the night before and had made a decision for the next night, but then thought it might get chilly and opted for something more sweater over sleeves friendly. Stay tuned for what I actually wore...although in all fairness it's kind of a duplicate of a previous outfit.